Till Brönner is an elegant virtuoso on his instrument, who time and again manages to brush away any stylistic no goes with a charming smile. He is one to polarise and to preserve and adapt tradition to the present time. In addition, he brings across without improvised music to a public who rarely saw the inside of a jazz club in an amusing and playful way. 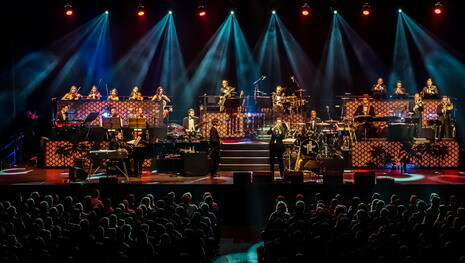 With his show “The Movie Album” produced by Meistersinger Konzerte (matching Till Brönner’s album of the same name), he is currently on tour with his Till Brönner Orchestra comprising 20 members through Germany and Switzerland. With David Haynes and Tobias Backhaus, as many as two drummers are part of the ensemble; in addition, percussionist is enthroned at the centre of the stage. LED panels in front of the musicians provide luminous show effects. Classic open air organiser put the evening event on stage, flautist and saxophonist Magnus Lindgren is the musical director of the orchestra. 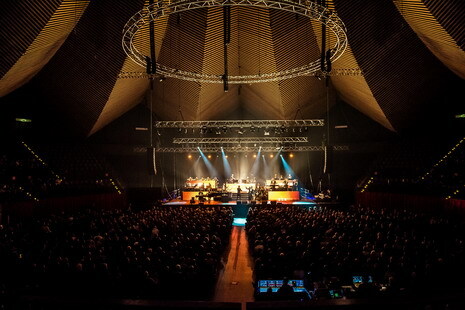 The tour started on January 24, 2015 in the Rostock municipal hall and is currently scheduled to go on until mid-September. Dates for further events are in planning. Black Box Music provides the complete sound, light and video technology to equip the tour. In addition, Till Brönner and his orchestra used the rehearsal room Studio as well as rehearsal hall 2 including the complete catering offer of BBM in order to prepare for the coming tour. Black Box Music moreover provided the complete trucking for the tour. 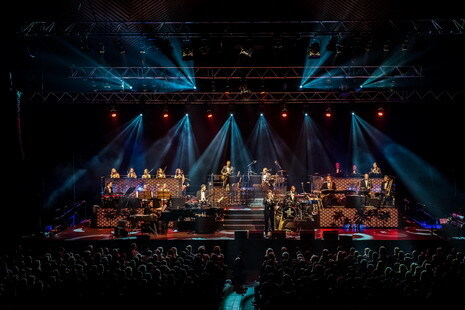 The following light technology was employed during the tour: 16x Vari*Lite VL500D, 10x ClayPaky Alphaspot QWO800, 6x 8Lite DWE with colour changer, 10x Arri Studio 2000 P.O., 19x ETC Source Four, 1x Robert Juliat Cyrano 2500, 1x MDG ATMe and 1x GrandMa 2 Light. As to video technology, BBM supported the tour with 50x Martin EC-20 Panel, 2x Martin P3-100 system controller and 1x Catalyst V4 HD Pro. 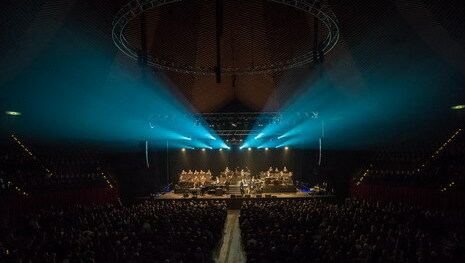 For the right sound, 24x Kara, 4x SB-28, 4x Kiva were used for the close range, 24x L-Acoustics Kiva and 6x L-Acoustics Kilo for the outfill, microphones made by Shure, Sennheiser, DPA, Neumann, Helpinstill Pickup, Schertler Pickup, and for managing the 64 channels a Soundcraft VI6 console each was employed for the FOH and the monitor system. For monitoring, 6x L-Acoustics 12XT, 15x L-Acoustics 115XT-HiQ as well as a Behringer Powerplay P16-I with 8x P16M Personal Mixer for wired InEar were used.